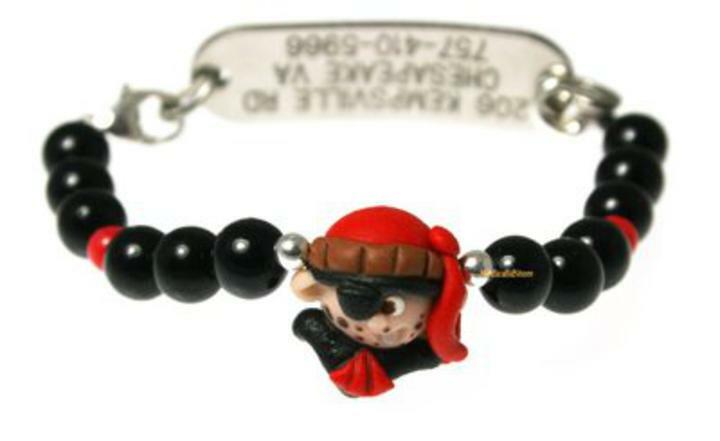 Our beaded medical id alert pirate bracelet is designed with style to be fun and unique! with lobster clasps on each end to make your beaded medical alert bracelet interchangable with other bands. Tag C measures 9/16 x 1 3/4"